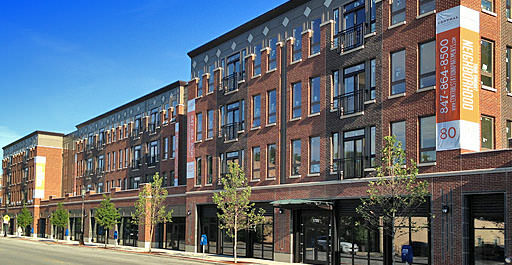 Central Station is Evanston’s newest premier rental apartment building. Designed to combine classic comfort with state-of-the-art connectivity, it offers sophisticated style, highest end finishes, and a great location. At four stories, Central Station nestles perfectly into a lively neighborhood of eclectic shops, friendly coffee houses, and gracious homes. Offering studios, one, two and three bedroom apartments, each Central Station apartment home has stainless steel appliances, quartz countertops, in-unit full size washer and dryer, dedicated computer niche, and balconies on select units. Contemporary lifestyle amenities include a cyber café, generously sized 24-hour fitness room, bicycle storage, enclosed or indoor heated parking.